Why Is Uranus Colder Than Neptune Despite Neptune Being Farther From The Sun? Why should a planet situated a billion miles closer to the Sun than another planet be colder than it? What mischief is nature up to now? Planets can be classified either as terrestrial or as gas giants. The terrestrial planets are the first four planets of our solar system, which have a solid, rocky core, whereas, the last four planets are the gas giants, which are named so because they are entirely made up of gas. They are so massive that they pulled, with their tremendous gravity, even gases as light as hydrogen and helium. However, Uranus and Neptune are so extraordinarily cold that even these volatile compounds that constitute them are frozen. They are therefore called the ice giants. More specifically, though, the gases are slightly more frozen on Uranus than they are on Neptune. While Neptune, the most distant planet in our Solar System, is 4.5 billion kilometers away from the Sun, Uranus, the second-farthest planet, is just 2.88 billion kilometers away. Uranus is more than a billion kilometers away from Neptune, yet it finds itself colder than its bluer neighbor. The coldest temperatures on Neptune have been measured at -360 degrees Fahrenheit, while the coldest temperatures on Uranus have been measured at an even more perishing -370 degrees Fahrenheit. This phenomenon defies one of the most elementary laws of the Universe: heat received decreases with an increase in distance from the source. Astronomers currently believe that the perplexity is a result of Uranus’ chaotic atmosphere and its anomalous orientation. 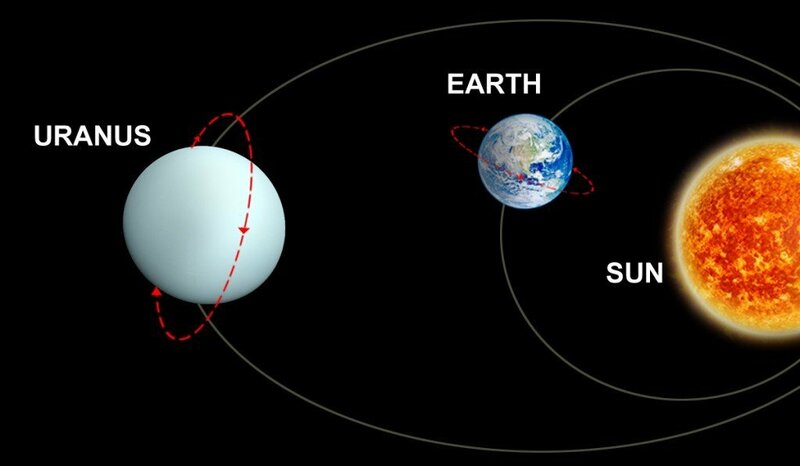 While Earth’s tilt is just 23 degrees, Uranus’ tilt is an astounding 98 degrees. As a consequence, Uranus doesn’t revolve around the Sun like a spinning top drawing a circle, but instead, it rolls ahead like a bowling bowl! Currently, we believe that the planet tilted so severely after being pelted by massive celestial bodies following its formation. The blows forced the heat in its core to spill into outer space. In fact, Uranus’ core is so cold that it is the only gas giant that receives more heat than it produces. While Jupiter’s core boasts a searing temperature of 25,000K, Uranus’ core temperature is barely 5,000K. Further loss of heat is believed to be caused by its atmosphere, which was stirred by the blows and the consequent tilt. The stirred atmosphere effuses heat through furious zonal winds. The winds that blow near the equator move at 50-100 m/s in the opposite direction or against the rotation, while the winds that blow in the same direction as the rotation move at 250 m/s. 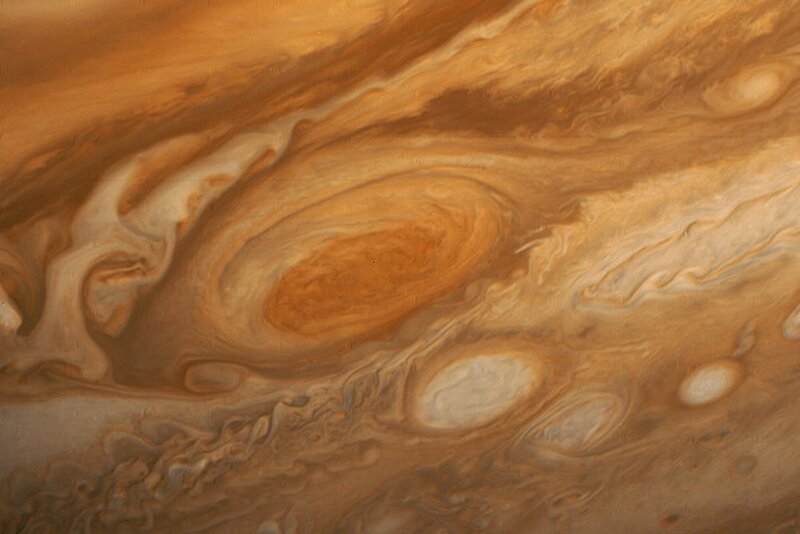 However, the planet is rarely subjected to tempestuous storms, which is why, unlike other gas giants, it does not appear to be “spotted”. It appears to be a blue, extremely gigantic, smooth and featureless ball of ice. The theories will turn into facts as soon as the evidence supporting them is gathered. While the Voyagers that flew by Uranus provided us with a great volume of knowledge about its composition, a dedicated mission might do the trick. 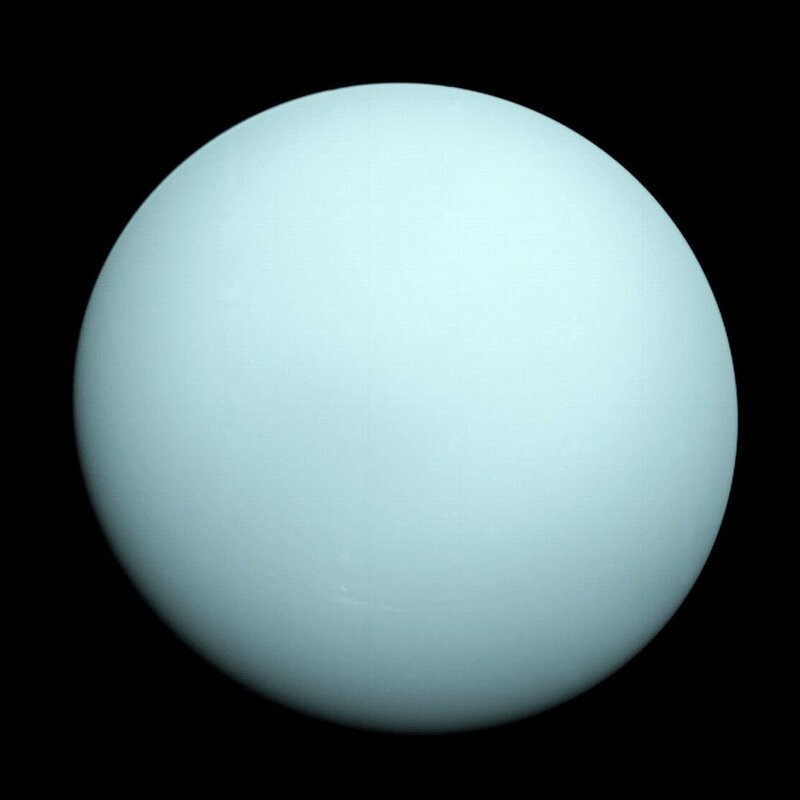 Lastly, Uranus is extremely cold, but it’s not the coldest celestial body in the Solar System. Pluto, which was relegated to the status of a dwarf planet in 2006, is colder, for the simple reason that it is the furthest body from the Sun. However, there exists a body that is even colder than Pluto. What’s more astonishing is that this body resides much closer to the Sun, and even closer to us! With shadowed caves and craters as cold as -400 degrees Fahrenheit, believe it or not, this frigid body is our closest neighbor – the moon!